« Done Blogging or Dumb Blogging? 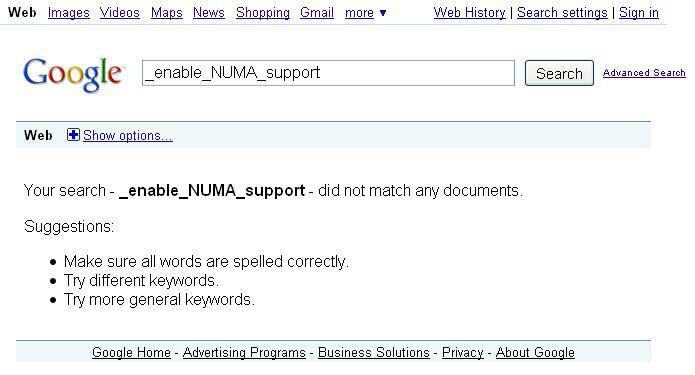 In May 2009 I made a blog entry entitled You Buy a NUMA System, Oracle Says Disable NUMA! What Gives? Part II. There had not yet been a Part I but as I pointed out in that post I would loop back and make Part I. Here it is. Better late than never. 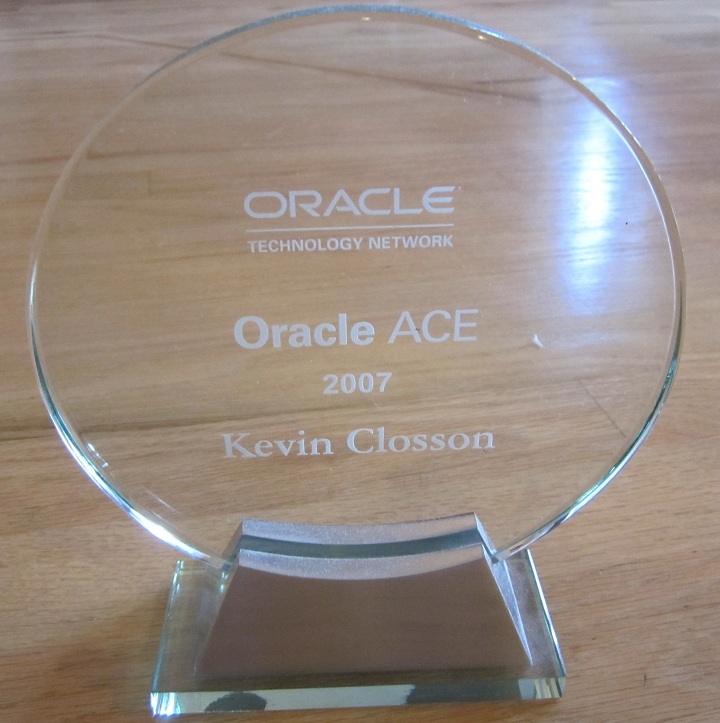 I originally planned to use Part I to stroll down memory lane (back to 1995) with a story about the then VP of Oracle RDBMS Development’s initial impression about the Sequent DYNIX/ptx NUMA API during a session where we presented it and how it would be beneficial to code to NUMA APIs sooner rather than later. We were mixing vision with the specific need of our port to be honest. We were the first to have a production NUMA API to which Oracle could port and we were quite a bit sooner to the whole NUMA trend than anyone else. Our’s was the first production NUMA system. Now, this VP is no longer at Oracle but the (redacted) response was, “Why would we want to use any of this ^#$%.” We (me and the three others presenting the API) were caught off guard. However, we all knew that the question was a really good question. There were still good companies making really tight, high-end SMPs with uniform memory. Just because we (Sequent) had to move into NUMA architecture didn’t mean we were blind to the reality around us. However, one thing we knew for sure—all systems in the future would have NUMA attributes of varying levels. All our competition was either in varying stages of denial or doing what I like to refer to as “Poo-pooh it while you do it.” All the major players eventually came out with NUMA systems. Some sooner, some later and the others died trying. That takes us to Commodity NUMA and the new purpose of this “Part I” post. Before I say a word about this Part I I’d like to point out that the concepts in Part II are of a “must-know” variety unless you relinquish your computing power to some sort of hosted facility where you don’t have the luxury of caring about the architecture upon which you run Oracle Database. Part II was about the different types of NUMA (historical and present) and such knowledge will help you if you find yourself in a troubling performance situation that relates to NUMA. NUMA is commodity, as I point out, and we have to come to grips with that. What Is He Blogging About? The current state of commodity NUMA is very peculiar. These Commodity NUMA Implementations (CNI) systems are so tightly coupled that most folks don’t even realize they are running on a NUMA system. In fact, let me go out on a ledge. I assert that nobody is configuring Oracle Database 11g Release 2 with NUMA optimizations in spite of the fact that they are on a NUMA box (e.g., Nehalem EP, AMD Opterton). The reason I believe this is because the init.ora parameter to invoke Oracle NUMA awareness changed names from 11gR1 to 11gR2 as per My Oracle Support note 864633.1. The parameter changed from _enable_NUMA_optimization to enable_NUMA_support. I know nobody is setting this because if they had I can almost guarantee they would have googled for problems. Allow me to explain. Yes, just as I thought…Google found nothing. But what is my point? My point is two-fold. First, I happen to know that Nehalem EP with QPI and Opteron with AMD HyperTransport are such good technologies that you really don’t have to care that much about NUMA software optimizations. At least to this point of the game. Reading M.O.S note 1053332.1 (regards disabling Linux NUMA support for Oracle Database Machine hosts) sort of drives that point home. However, saying you don’t need to care about NUMA doesn’t mean you shouldn’t experiment. How can anyone say that setting _enable_NUMA_support is a total placebo in all cases? One can’t prove a negative. If you dare, trust me when I say that an understanding of NUMA will be as essential in the next 10 years as understanding SMP (parallelism and concurrency) was in the last 20 years. OK, off my soapbox. Note, in spite of event #3, the alert log will not report anything to you about what went wrong. OK, so the instance is up and the parameter was reverted, what does the IPC shared memory segment look like? Right, so I have no NUMA placement of the buffer pool. On Linux, Oracle must create multiple segments and allocate them on specific NUMA nodes (memory hierarchies). It was a little simpler for the first NUMA-aware port of Oracle (Sequent) since the APIs allowed for the creation of a single shared memory segment with regions of the segment placed onto different memories. Ho Hum. So I create the necessary symbolic link and subsequently boot the instance and inspect the shared memory segments. Here I see that I have a ~1GB segment for the variable SGA components and my buffer pool has been segmented into two roughly 2.3 GB segments. So there I have an SGA successfully created with _enable_NUMA_support set to TRUE. But, what strings appear in the alert log? Well, I’ll blog that soon because it leads me to other content. Could you talk a little bit on the types of optimizations this brings to the table? That we could better understand in what workloads such optimizations will actually provide benefit. Probably not since any more it seems some technology circles lean more towards FaithBasedTechnology(tm) and it’s all “just supposed to work.” Education about how to maximize your investment might seen as “casting vendor X product in a bad light.” I’ll have to think more like a snake than a fox in order to slither my way through these sorts of twisty passages. Nice Technocracy. I’ve got some more for you, because I have a NUMA question about Sun hardware, old and new. First, Regarding, Part III: Our (sigh, yes, again, “our old”) old Sun v1280 servers are NUMA. I agree with you: Sequent was ahead of it’s time and NUMA is extremely common and good. We are replacing our v1280’s with M4000’s. The v1280’s/Solaris 9 split the buffer cache into two, one for each quad, and then the 9.2 (10g?) instance would use only one of the two pieces. Eww. The solution: _enable_numa_optimization=false. Bug:8199533: NEED NEW PARAMETER TO DISABLE NUMA SUPPORT AND RELATED LOG INFO. sorry for that last comment. >> Do I install this patch on the M4000? If I were installing 11.2, I’d be getting that patch automatically. I’ve done a log more perusing of M.O.S. and I’ve also seen stuff like “problems with tar/dd” and “ora-600 when do online board replacements”. How good/bad is Sun M4000 at NUMA? How do I actually measure the benefit of turning NUMA support on? Also, to continue my shameless naivette, what do the Oracle developers, and the newer VP’s, say about making NUMA more known (and used) to the mainstream Oracle DBA? I found part II earlier, just found this. So, if I’m running 11gR2, NUMA is off by default. So, should I disable it in the O/S? I’m running a pair of X5570 CPUs in an HP DL-360 (actually a 4 node RAC of 360s), and NUMA is enabled at the O/S level, as can be observed w/ ‘numactl –hardware’. So, I guess my question is, is there any issue w/ having NUMA enabled in the O/S, but disabled by Oracle? Is there anything to be gained by either disabling NUMA in the O/S or enabling it in Oracle? With a 2s Nehalem EP server you will be extremely hard pressed to find benefit from software NUMA awareness. Full stop. It is not sufficiently lumpy. I recommend software NUMA disabled in this OS (ala grub) just as I did here in development for Exadata Database Machine Version 2 (and that recommendation stuck for many, many reasons). Now, 4s or 8s servers that’s a totally different story so don’t have this particular recommendation burned in as a generic NUMA mentality. It only applies to the puny atypical case of 2s Nehalem EP and most like Westmere EP (Xeon 5600). So, I guess my last question is this: NUMA is disabled in Oracle, in 11.2. It’s enabled at the O/S. Is there sufficient cause to *not* run this way? Should I bother with turning it off in the O/S? I ask cause it will be a hassle to do so, schedule downtime, etc. So, does it really matter at all if I leave it enabled in the O/S if Oracle is not taking advantage of it? Seems like there is some effect to having it enabled in the O/S, as I’m using HugePages, and by looking at /sys/devices/system/node/*/meminfo I can see that (roughly) half of my HugePages allocation is managed by each of two nodes (0 and 1). I recommend you st numa=off in grub for the same reasons I insisted in the database hosts of the Exadata Database Machine. If it doesn’t help, the only thing is can do is hurt. Everyone in the world essentially ignored NUMA after Sequent Computer Systems died. Somebody, someday will have to pay for that dereliction. However, with 2s Xeon 5500 there is not need to bear that cross as of yet. Ok, I’ll broach the subject w/ my sysadmins on Monday.